With the passing of Fidel Castro and a new era in US-Cuban relations, more Americans are journeying to the largest Caribbean island to experience what the nation has to offer. When most people think of Cuba the night life of Havana or 1950s-era cars come to mind, but Cuba undoubtedly has some equally rich outdoor attractions. Not known as an outdoor travel destination, the nation actually has a great deal to offer if you’re willing to explore. Here are six adventures travel ideas in and around Cuba. With nearly 800 miles of coastline in the heart of the Caribbean, Cuba possesses some of the most pristine scuba diving in the world. 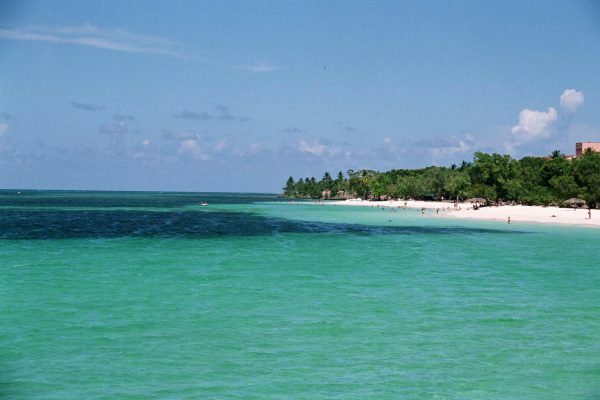 So few people visit Cuba for scuba diving that the dive sites are virtually untouched. At the Jardines de le Reina no more than 1,200 divers visit per year so you are getting a look at an untouched marine sanctuary as it might have been for centuries. You can visit this area with Avalon Cuban Diving Centers. Before Castro, during the days of American expatriates who came to the island for gambling and partying, romantics like Ernest Hemingway enjoyed the waters for its deep sea fishing. Just 90 miles from Florida, plenty of boats coming out of the US can reach Cuban waters to ply for swordfish and other deep sea fish. A great way to fully immerse yourself in Cuban fishing is by staying at a resort that specializes in chartered trips such as in Sol Cayo Guillermo and Melia Cayo Coco. Another great way to experience the waters around the Cuba both above and beneath is by taking a cruise or better yet a private yacht. Book a trip through Sail Tomorrow on boad a 54-foot Jeanneau. Trips range from single day outtings to a full week liveaboard experience with scuba diving and exploring the various harbors and bays around the island. What’s not to be forgotten about the Cuban nation is that much of its land mass is covered in wilderness. That made it an ideal place for Castro and Che Guevara to plot a revolution. It also makes for ideal game habitat. Several hunting tours are available to take advantage of this new opportunity. The most abundant game animals are ducks, doves and pheasant, but there are also deer and wild boar. Visit Transworld Expeditions for more some ideas. If you really want to fully immerse yourself in the Cuban revolutionary experience, you can hike the route that Fidel and Che led their men on their original journey from Granma Landing to Havana. The journey was captured vividly in the 2008 two-part bioppic Che. If you are really interested in retracing this route, Lonely Planet has a message board with tips and suggestions. Lastly we found this really cool eight-day guided cycle tour in and around Havana and then to Trinidad and then up into the mountains followed by a flight to Santiago and a jeep safari tour. Check it out at Journey Latin America.